Run this checklist each time a new client needs onboarding. So you've just closed a deal with a hot new client, and now you're faced with your next challenge: onboarding them in order to keep that initial momentum going and kick-start a great working relationship. When you're onboarding new clients (or customers), you want to make sure they feel welcomed and to reinforce their feeling that they have made the right choice in choosing you as the solution to their problem. This will include addressing any questions, gathering necessary information, and making preparations so that the project can begin as soon as possible, and as smoothly as possible. 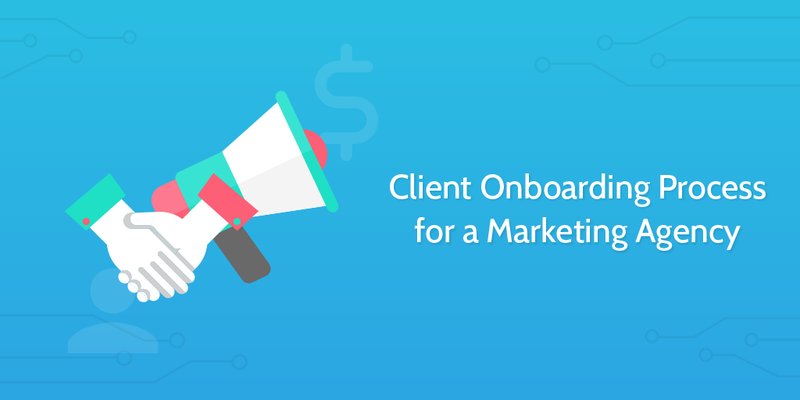 For all of this to happen, you need to nail down a solid client onboarding process; without a process like this in place, you risk one of the biggest mistakes as a digital marketing agency. We made this checklist for new client onboarding so that you, as your marketing agency's project manager or client onboarding specialist, will be able to optimize the process that begins your working relationship with a new client. By running this checklist, you'll be able to save time and resources by automating tasks, increase client satisfaction by making sure their needs and concerns are understood and addressed throughout the onboarding process, and ultimately reduce turnover rate and position yourself for a glowing testimonial further down the line. Firstly, record some basic information about the client. These details will be useful for automating basic tasks later on in the process. If you haven't already, you can set up Zapier to launch instances of this checklist template in the future and push information you already have stored in your CRM into any task's form fields automatically, based on a trigger like changing a lead's status from "qualified" to "customer". Fill out the form fields below. Alternately, you could set up a Zapier integration to push the information gathered in this (or any other) task into your CRM database. Even if you already have the client in your CRM, this task will help to automate parts of tasks later on in this process. Be sure that the contract has been sent out to the client for them to sign. This process needs to be started early on, so that time lost to clients delaying contract signing is minimized. You can use Zapier's to automatically send a new contract each time you run this checklist, giving you the power to customize contracts (or any document) with data gathered from checklists. For an example of how to set this up, take a look at this HelloSign + Process Street integration tutorial. Mark the sub-task as complete once you've sent out the contract document. You may also need additional documents, such as a non-disclosure agreement (NDA) or similar confidentiality forms. Use the sub-tasks below to keep track, if need be. Before you move forward, it's important to make sure the signed contract and any additional documents requiring the client's signature have been received back. If you're not using an e-signature tool like HelloSign, you may want to upload the signed contract to the file upload form field in this task. That way you'll have a copy stored against the record of your onboarding process for this client. If there are additional documents, mark them as received and upload signed files as you see fit. During this call, you should clearly outline the 12-month plan and make it clear how you and your agency fit into the picture. You can also take this opportunity to ask any questions, and allow the client to air any questions they might have as well. Finally, after-the-fact, you can jot down any notes pertaining to the call for future reference. These details will be used to automate some smaller tasks later on in the checklist. The goal of a welcome email is to preserve momentum built up during the initial closing process and answer some of the client's common doubts or questions that might arise before the project starts. For many companies, a welcome email might include a short PDF document that contains a brief introduction to the most important information about the working relationship between yourself and your new client. Ideally, you will send the welcome email as soon as the contract has been finalized, and before work on the project has actually begun. If you already have a template PDF ready to be customized to welcome a new client, you can edit this template so that the file upload field below includes that master. That way, anyone running this checklist will be able to quickly and easily access it and make necessary alterations before sending it off. One of the first things you'll need to do is send your new client a questionnaire with questions that will help you gain insight into the project and align you and your team with the client's goals and needs as a business. You can do this via email or using a tool like Wufoo or Survey Monkey. Take a look at the bulleted list below for some ideas for what to include as a marketing agency. What are your goals? Is this leads, customers, or revenue? Do you have customer personas? Who is your ideal client? What ROI have you seen on your current marketing efforts? What are you currently investing in? What percentage of your customers is generated through online methods? Then, use the email widget below to forward your questionnaire to the client. In the sample email is a placeholder URL (one of the questionnaires we use at Process Street) which will automatically pull the email address of your client that you entered earlier into the URL. You'll want to either create your own questionnaire with Typeform or an equivalent tool, and replace the Process Street URL below (making sure to keep the same URL structure in-tact). Contact the client and request any remaining resources needed to start work on the project. Determine a deadline for receiving back the marketing and media resources and record the exact date in the form field below. Check this task as soon as you receive everything you need to start the project. Consider uploading the files to the form fields below so that they're on hand for future reference. Do some research into the different campaign ideas you could approach for this project. Utilize all the information you have on file about this client, including sales calls, questionnaires filled out, plus documents and resources they've already provided. Check out some competitor companies and see what worked or didn't work in those cases; insight from competitors can often be invaluable and should always be taken into consideration. Collect your findings in a document using a tool like Dropbox Paper or Google Docs; make sure the presentation is clear as this will be an invaluable resource in communicating to the rest of the team later on in the process. Your goal is to position yourself as a key component in the success of your client's business over the course of the next 12 months. Using the invaluable information from your strategically-crafted questionnaire, you'll be able to devise a plan of action for the next 12 months that will directly address their business goals and ensure that you maximize the efficacy of this marketing campaign. One of the most useful resources will be the completed questionnaire from the previous task. You may not have received this back yet, but if you have it will be invaluable in building the 12-month roadmap. Upload a copy of the finished plan document to the form field below, to keep it on record. Once you've done this, consider whether you have everything you need to start work on the project and record your answer in the form field below. Contact your client and work out a long-term schedule for progress calls over the next few months, including the initial onboarding call to kick-start the project. You can use a calendar tool like Calendly to allow your clients to schedule multiple meetings with the same URL. Input your own custom Calendly link in the Send Email widget below, editing the body of the email to suit your personal schedule plan. Whatever you use to manage your current customer and project status, make sure to update all CRM and project management databases with any new information after the initial call. 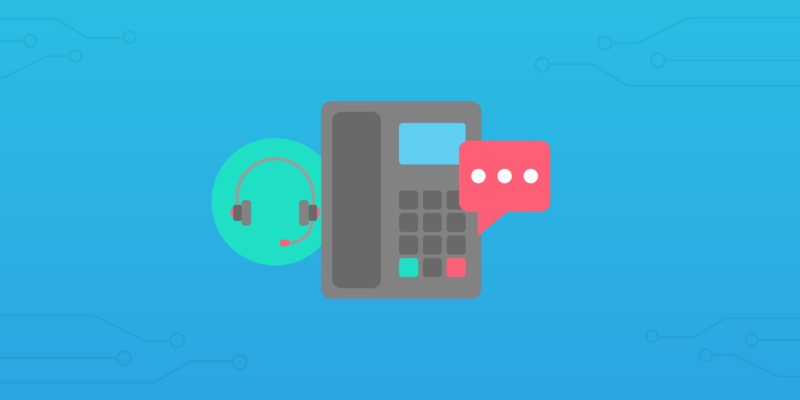 This a great opportunity to utilize the power of Process Street's 1000+ integrations; for example, you could set up a Zap that pushes call notes recorded in previous tasks straight into your CRM when this task is checked. This might be as simple as updating some notes on your client's profile or recording a certain deadline or milestone. Whatever the case, use the sub-tasks below to keep track of your progress. Before you progress, you must ensure the questionnaire is received back finished from the client. Once you've confirmed it has been completed, simply mark this task as complete and move on. Using the notes you recorded during the initial call with the client, brief the team on the scope of the project, including an outline of the most important tasks and a clear definition of any milestones during the course of the project. Your 12-month plan will prove useful here to make sure everyone is on the same page, and that there is a solid bedrock from which to delegate and take on the project in the most efficient way possible. This step also involves deciding what work is going to be allocated to whom, and that everyone is duly notified of their roles and responsibilities. Use the sub-checklist below to track progress. Send a quick email to the client to thank them for their time and dedication so far, and to notify them that work has officially begun on the project. There isn't necessarily much information to impart here; it's more a gesture towards keeping your client updated and the processes behind the project as transparent as possible. 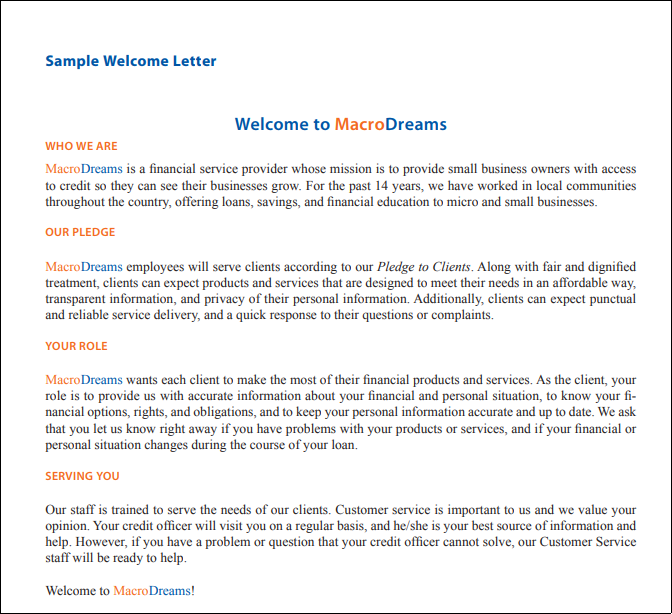 The widget below has a template email with the client's email address auto-filled already. It's worth spending some time personalizing parts of this to best suit your situation with the client, so be sure to edit the body of the template that's listed inside of square brackets. Give it a look over and edit it to suit your needs, then hit "Send" before moving on to the next task. One week into the project, or since your last call is a good time to have a follow-up with your client to address any concerns they might have, as well as give them routine updates. Even if they have access to a project view where they can see updates, delivering this information in a short, formal call can do well to assure the client that the project is progressing as planned, and to reassure them that they have made the right choice in choosing you as their solution. Once scheduled, record the date of the first follow-up call below. Make notes on the call, and then consider whether the feedback from the client means that any changes to the marketing strategy will need to be made, and record your decision below. Make a point to send a follow-up email as soon as you get off the call, including all the information discussed, so that there is a clear record of each exchange for everyone involved. Based on the feedback to the first follow-up call, apply the suggestions made by your client to the marketing plan and inform the team of any revisions. Be sure to record the changes that need to be made in the form field below. To make sure that you address any concerns and keep the client in good faith, have an additional follow-up call with them about four weeks into the project to make sure everything is going well. Once again, record the date of the follow-up call with the form field below. Then, as before, make notes on the call. You should always consider how the current strategy could be improved; all feedback from your client is a valuable insight into what could potentially be faults in your plan. Use the form fields in this task to record your thoughts and findings. After the call, it's a good idea to chase them with an email summarizing everything you discussed, including project status updates, issues the client might have had, and any additional details. If your client has any problems, they will have communicated them to you in your last call. Based on this feedback, make any changes you deem necessary to course-correct and eliminate the client's concerns. Be sure to record the changes that need to be made in the form field below, and as before, it's important to inform the whole team of any changes made. 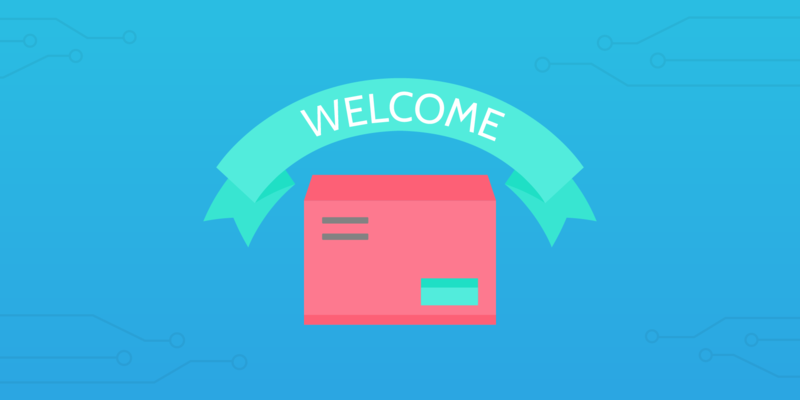 Take some time to send a post-onboarding survey to your customer to gather valuable information about their opinion of your service, and how the whole process went for them. This can help you to understand where improvements could be made. Did you feel like there was anything missing from the process? How do you think the process could be improved? And of course, don't forget to thank them for their time! Strictly speaking, this probably won't be much help to them (unless they're a returning customer), but can be hugely useful for you when dealing with future clients. Similar to some of the earlier tasks, you can edit this checklist's template so that the file upload field contains your default post-onboarding survey. Steff Green - Why is Client Onboarding Important for Your Agency?